A 2010 federal audit of the Michigan Department of Environmental Quality expressed concern about how thoroughly the agency was testing lead levels as part of its water safety program. Years before a lead-poisoning crisis made Flint an unenviable center of national attention, there were warning signs about the state agency charged with keeping drinking water safe. Among them: federal government concerns about the ability of the Michigan Department of Environmental Quality to detect lead in the water supply. In 2010, a federal audit portrayed MDEQ as a department beset by budget cuts, staff shifts and limited resources, and willing to take regulatory shortcuts in safeguarding Michigan’s water. The agency’s Drinking Water Program had just seen its annual budget slashed to roughly $1.5 million, down $300,000 from the previous fiscal year, said the audit, conducted by the U.S. Environmental Protection Agency. “Frequent hiring freezes have impacted Michigan for about ten years,” the report noted. “This has made it difficult to replace positions.” Bans on contract services and a “cumbersome” employee hiring process didn’t help, either. It is not immediately clear whether the financial and monitoring shortcomings identified in the 2010 audit were factors in MDEQ’s much-criticized performance during the Flint water crisis, or to what degree they may have been addressed in the years since. Melanie Brown, MDEQ’s communication director, did not respond to several requests for comment from Bridge about the report. The EPA audit documented technical shortcomings in everything from the monitoring of radioactive pollutants known as radionuclides and coliform bacteria in water to ‒ notably‒ how effectively MDEQ followed federal regulations for tracking lead levels. Lead in water is measured in parts per billion (ppb). Federal regulations require water utilities to certify that 90 percent of homes in a community contain 15 parts-per-billion of lead or less in drinking water. It’s a standard some critics say should be toughened, for two reasons: One, even at levels below 15 ppb, lead can pose serious health concerns, especially for young children. Second, the 90th percentile standard theoretically could allow cities to proclaim their water safe even if 10 percent of homes had lead levels higher than the 15 ppb EPA “action” standard. MDEQ’s “practice does not meet the requirements of Federal Regulations, since it is required that all 90th percentiles be calculated,” the audit concluded. In “several cases,” MDEQ also failed to make a timely report of lead readings that exceeded the federal action standards. EPA was likewise troubled that MDEQ did not conduct the required number of water samples for lead, including during the summer months to conserve limited agency resources. One expert from the Virginia Tech scientific team that helped bring the Flint water crisis to public attention said she was not surprised by the audit findings. Yanna Lambrinidou, a medical ethnographer and adjunct assistant professor in the Science and Technology Studies program at Virginia Tech, said deficiencies are common in water supply regulatory bodies across the nation. “These are programs that are understaffed, underfunded and lacking knowledge and experience,” Lambrinidou told Bridge. 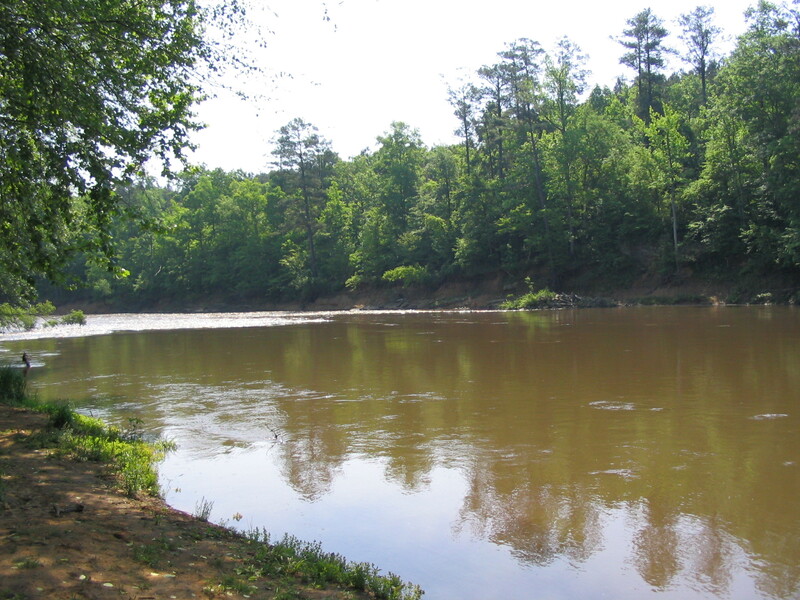 Yanna Lambrinidou, a water quality expert at Virginia Tech, said that MDEQ’s budget-conscious approach to water monitoring is reflective of resource shortages in state environmental agencies across much of the country. She noted that in 2013, the Association of State Drinking Water Administrators found that 17 states had cut budgets for agencies regulating drinking water safety by more than a fifth, and more than two dozen had cut spending on full-time employees. So it was in Michigan. The EPA audit, conducted during the administration of Gov. Jennifer Granholm, refers to “dramatic budget cuts” at MDEQ that had a “significant impact” on its water program. “Increased regulatory requirements coupled with a decrease in available funding, have required MDEQ to prioritize program activities” and sharpen its focus on “drinking water regulations that directly affect public health,” the audit said. Lambrinidou, who conducted research on lead contamination in drinking water in Washington D.C., exposed in a series of Washington Post articles in 2004, is scheduled to testify today in a U.S. House hearing on the Flint water crisis. She also served on a working group for the National Drinking Water Advisory Council that issued recommendations for changing how lead and copper are regulated in drinking water. There's no indication the alleged failings in this audit led directly to the Flint water crisis. But the EPA’s findings appear to foreshadow much of what was to come – the failure of state regulators to quickly identify and mitigate the threat of lead poisoning in Flint’s drinking water after the city began to draw its water in 2014 from the highly corrosive Flint River. The audit’s warnings add to an already troubling picture of an agency that was one of several government departments at the local, state and federal level that, according to currently available records, failed to prevent lead poisoning of Flint residents. The task force echoed some themes in the EPA audit ‒ notably, it’s description of MDEQ as an agency where “a culture exists in which ‘technical compliance’ is considered sufficient to ensure safe drinking water in Michigan. This “minimalist” approach remained a topic of conversation among MDEQ and EPA regulators last summer. In July emails, an EPA official cited a conversation with MDEQ regulators about “the possibility of the Michigan State Legislature looking to have just a minimal drinking water program” in the future. By now, the timeline of what happened is familiar. Flint, under a series of Gov. Rick Snyder-appointed emergency managers, cut ties with the Detroit water system as a money-saving measure and in April 2014 began to draw water from the Flint River. Within weeks, residents were complaining about the water's taste and appearance, in some cases a rusty color that could be an indication that iron along with lead were leaching from pipes into the drinking water due to the river water’s corrosive properties. As Bridge recently chronicled in an exhaustive timeline of the Flint crisis, an EPA employee by the name of Miquel Del Toral raised concerns with MDEQ and others about lead water levels in Flint as far back as last February. Those concerns were not acted on for many months by MDEQ, the Michigan Department of Health and Human Services, Flint water officials, Snyder’s office, or by Del Toral’s higher-ups at EPA. Last April, two months after telling EPA that Flint had optimized corrosion control in place, MDEQ acknowledged Flint’s drinking water had no corrosion control. In August, Virginia University professor and municipal water expert Marc Edwards began independent testing of Flint's water. In September, he published results that included several samples exceeding 100 ppb and one exceeding 1,000 ppb. An earlier test found lead levels exceeding 13,000 ppb in one home. “FLINT HAS A VERY SERIOUS LEAD IN WATER PROBLEM,” he wrote emphatically in his report. In September, a Flint physician, Dr. Mona Hanna-Attisha, and Hurley Medical Center released a study that found the percentage of Flint children and infants with above-average lead blood levels had nearly tripled among those in high-risk areas of the city. Finally, in early October, the Snyder Administration began to take action, announcing it would provide water filters to residents, test the water in Flint schools to assure it was safe and expand testing of individual homes. The city reconnected to the Detroit water system that same month and initiated corrosion control measures. Even so, safety questions remain, and it is unclear how soon Flint residents will be cleared to drink the water coming to their homes. MDEQ’s director, Wyant, and the agency’s spokesman, Brad Wurfel, who had aggressively derided questions about the water’s safety, later resigned. On Feb. 5, MDEQ's Liane Shekter Smith was fired. The audit is expected to take several months to complete. Lambrinidou of Virginia Tech said the EPA audit back in 2010 should have raised alarm at both EPA and MDEQ. MDEQ's mission has been corrupted by the present administration and that is clear with the OK from MDEQ to allow more pollution from the already dirty Marathon plant in Detroit. MDEQ is just an extension of industry now where the polluters needs take precedence over those of the citizens of Michigan. EVERYONE WHO IS CONCERNED ABOUT SHOULD READ AN ARTICLE ON PAGE 13A OF DETROIT NEW 2/10/15.YOU MIGHT FIND OTHER PEOPLE TO SHARE THE BLAME.JAYABALAN KNOWS WHAT HES TALKING ABOUT. Our legislature has been a clown club ever since the term limits. They know nothing and only ruin everything they touch. They are looking for jobs and serving the places they are looking for jobs from. Look at the bills they and the governor have passed and signed. All having to do with our liberty or voting rights. Cutting departments and claiming that government is bad. Well, their kind is. We need them to do some studying of the issues. Use some good sense and help us. Fix the roads, tax the wealthy, and leave the welfare people alone. The last thing about throwing off a family if one of their kids is a truant. Sure, punish the rest of the kids. Let them starve and be on the street. Haven't they ever be3en a parent. Kids sometimes cause difficulties that are hard to handle and especially when people have to work for the work for less employers and have to leave the job to handle kids problems. Where is the child care? Single mothers are only one person. We also can't watch the legislators. They are worse than the kids in doing their jobs. Dan Wyant was, primarily, noted in news articles about him when he was appointed by Snyder for being 'business friendly'. I'm coming to realize that what that term means is 'decidedly, not friendly to the needs of people or to the constraints imposed by scientific findings. Very good report. Shows how our government has, for years and for various reasons, made cuts that sometimes go too far and at greater cost down the road. I certainly hope the AG's investigating gets to this issue. Tax cuts and budget cuts required by a legislature interested in less government are an important part of the blame equation. AG Schutte isn't going to release a report saying state government needs to spend more money for ANYTHING. He would completely lose his base who have been told for years that government needs to be cut and "onerous regulations" are the root of all evil. Who will go to jail for this? This goes far beyond incompentcy, it sounds criminal to me. What's an agency supposed to do if it doesn't have the money to do its job? Budget cuts send a message to agency personnel. Your work isn't all that important. That by itself might encourage a culture of ritual or minimal compliance. Indeed, it might even make it necessary. As is often the case, the original culprits are myopic penny wise, pound foolish elected public officials. The current governor's focus on fiscal responsibility (except when it comes to so called "essential" $1.6 billion tax cuts for business) would only reinforce this culture. Precisely. The tax cut chickens have come to roost. At some point, after you've cut budgets down to the bone and beyond, services will be impacted. This is Exhibit A. At the end of the day - regardless of whom was Governor when cuts started, this should have NEVER happened. Deregulation of agencies leads to these atrocities and then everyone gets off scot free. Years ago, some of these agencies were top heavy and cuts were made; however, any leader or anything knows that when they do not have the staff or resources to perform the jobs that they are being paid for, it's time to step forward and let the powers that be know about the inadequacies. I'm not so sure that this did not happen - many times. If that is the case, then the governor cannot sidestep accountability - regardless of when it started. We citizens are the government.. it's not some vague entity that wastes your taxes. Thanks to Grover Norquist and the sheep like politicians.who.signed on to his destructive policies. The drum beat of cut employees, cut benefits, no taxes for any reason must be a contributor to the dark state Michigan is today. You get what you pay for..obviously our politicians went for the discount over quality. Water, roads, highway overpasses etc Do you think the bright young engineers, science majors, architects, lab personnel will find public.service employment attractive? Not when the elected legislators grandstand by cuts and vilifying. Thank you Bridge Magazine for excellent reporting on this issue. It's apparent by the lack of responsiveness on the part of the MDEQ Communications person that they plan to continue to stonewall. Keep after them! Oh...please enough blame game on this administration. Did you not read that the cuts started in the Granholm regime. Lets agree that there is plenty of incompetence to go around. My concerns lie in the last line of defense...the Flint water department....now there's where some heads should role. Dereliction of duty comes to mind, as those staffers are entrusted with the health of their fellow citizens and they either are incompetent or criminal in the performance of their duties. It seems that dozens of other public water systems are able to deliver safe potable water to their customers. If you read the article the MDEQ has not followed the federal standards for at least 10 years . The flint water system was monitored by the MDEQ and the state EPA . It was their positive reports on Flint's water quality that dictated the actions of the Flint Water Department . Remember the city of Flint was under the control of the state emergency manager. Not a single city employee or administrator had any control over the situation . This IS a situation created by this Governor and the republican dominated state legislature . The cuts started with Granholm and increased with the Snyder administration . That means for the past six years this administration has cut even deeper into the budgets of the departments that are tasked with keeping the states drinking water is safe . The cuts started with the Engler administration along with tax cuts. By the time Granholm came into power there was not enough revenue to sustain the MDEQ's core responsibilities. The bottom-line, without tax increases of some sort this sate will continue to slide downward. Like any business without annual increases in revenue the entity will fail. Those who keep promoting the idea of smaller government fail to realize that 'too small' can be worse than 'too large'. I suppose (in this case) it all depends on where your water is coming from. Perhaps some of this will be remembered during the next election. Per the article - the MDEQ told Flint water workers additional treatment to prevent lead problems is not to be considered until two 6-month test periods were completed. By this time 'red flags' were popping up all over the place! It is unfortunate that the Flint water team didn't balk at this and raise a stink versus following the directive the MDEQ. Also unfortunate that the MDEQ, again with red flags all over the place, didn't handle this properly. Even with a shortage of staff and funds aren't these agencies equipped to spot these life threatening problems and bring things to a screeching halt? There is plenty of blame to pass around and it is hard to believe that anyone at any level would want to harm both children and adults. But there seems to be an attitude of indifference at many levels bordering on gross negligence for which many will ultimately pay the price. I am outside the Flint area, but to watch the news and see the devastation this is taking on the people of Flint is deeply saddening. It started with Engler and today's state government is very different than it was under his predecessors. Engler privatized as many state government functions as he thought he could get away with and subsequent governors have done the same. State employee benefits have dwindled to the point where there is nothing exceptional about them and exceptional people are no longer interested in going to work for the state because of exceptional benefits. Prior to Engler, promotions were based on test performance and merit. Those days are long gone. Do more with less is the mantra. Silly, since the only thing you can do with less is less. There's ain't no such thing as a free lunch. My husband, a civil engineer, started his career in the Water Quality Division of the DNR in 1978. The people he worked with were outstanding and so committed to environmental protection (as were the governor and legislature). He worked there for 17 years (many of them lean years with no raises, but a promise of a good pension and health care at retirement); coincidentally, he left the day before Gov. Engler reorganized the department. That was the beginning of a slow slide to ineffectiveness. My husband spent the rest of his career working as the Director of Public Works for a local municipality, the last seven years having to do "more with less" as the state budgets failed to meet their legal obligation to fund municipalities. Quite a little scheme, I think, Underfund....Declare incompetence...Assign an EM. In the meantime, as his former colleagues at the now DEQ have been retiring, there's been no planning to hand over their knowlege and expertise. See ya later.... Oh, and by the way, all that stuff we promised you in the lean years...not so much...sorry. And our governor/legislature wonder why young, highly educated people don't stay in Michigan. Your comment could not be more accurate!! Thanks for posting! Jennifer Granholm was governor from 2003-2011. The audit came out in 2010 assuming the audit took 12-18 months, that means Granholm was 1/2 through her 2nd term when the audit was conducted. Its very clear that any responsibility for the situation described in the audit rests directly on the shoulders of Jennifer Granholm exclusively. Ok, political science lecture here. Governors are not dictators. The legislature chooses budgetary priorities and the governor vetoes or approves. Michigan is weird-two Democratic senators at the federal level, usually Democratic on presidential elections and staunchly right wing, small government state legislatures. Granholm surely shares some blame but direct your anger at the Republican legislatures who create the budgets. Love it. All blame current governor for budget cuts. Yet in the article we all just read it says the cuts came during granhholmes time. Let's face it, our state has been poor for the last 10 years. Business's were going out of business and moving to other states. Quit trying to blame those who basically had no choice. The EPA audit, conducted during the administration of Gov. Jennifer Granholm, refers to “dramatic budget cuts” at MDEQ that had a “significant impact” on its water program. The article does Not state that the cuts happened in Granholm's time, it said the Audit was conducted under her administration. The cuts came from Engler. The State of Michigan has a new budget every year Jennifer Granholm had 6 or more budgets to do whatever she wanted with funding from the MDEQ. Also, if you take the time to look at the records, Gov. Engler included increased funding for the MDEQ in his budget proposals, not less. This whole problem, and others like it, is a continuance of the theme of "Do More With Less". Too often it just does not work. Good services cost money. We continue to cut taxes and expect better services. Why are we surprised when failures occur. There is no such thing as a "free lunch"
I propose a funding solution to cover MDEQ's cost to oversee municipal water systems...bill those municipalities for the cost and they can add that to customer water rates. This would be budget neutral and not subject to cuts...assuming the municipalities followed through and actually paid for the cost of oversight regulation for their water system. So your solution is the bill the taxpayers of that community...ignoring the fact that many of the people who use the water (commuters, folks who come into a city for entertainment, food, business) pay little to no tax for that service? This is why cuts to revenue sharing are so pernicious in an economic sense. They allow free riders (who generally live outside of the city) to benefit disproportionately. And yes, I'm one today. I live outside of Lansing, but spend 10 hours a day in the city. I pay a little city income tax, but that's been offset by the state income tax cuts of the last 20 years. Municipal water supplies already pay an annual Public Drinking Water Supply Fee to the State of Michigan that goes to support the MDEQ Drinking Water Program oversight of Municipal Drinking Water Systems. They also pay fees for Lab Certification and operator certification (either paid by the utility or the operator). These fee programs when enacted were generally supported by the Utilities to replace dwindling federal and state budgets for the State Drinking Water Program. Of course these "Utility fees" are actually paid by the customers of the water systems. From a professional with 40 years experience in this field I believe the municipal water utilities and their customers were better served when the State Drinking Water Oversight Program was housed under the Public Health Department before its transfer to the MDEQ. Key personnel, such as District Supervisors, were generally Professional Engineers with extensive experience and primary focus on municipal drinking water systems. Now with State budget and personnel cuts MDEQ District Supervisors may have responsibility over both Drinking Water and Wastewater Programs. Persons with years of experience regulating wastewater systems may be asked to oversee and make key decisions on Drinking Water Systems as well. As a society we have not adequately funded our municipal water and wastewater systems as required for robust, sustainable and safe long term operation. For too long we have operated these systems on the cheap without adequate capital replacement and without understanding of the long term consequences for this lack of investment. For independent and sustainable systems that funding should be coming from the customers served by the system in the form of water and wastewater service charges. If those dollars are diverted to Lansing and Washington, they fund unnecessary bureaucracy and only partially come back to the local government with strings and extra regulation that usually distort local investment priorities. Yet when even modest rate increases are proposed at the local level they are typically met by strong opposition from rate payers and the politicians they elect to represent them. For communities like Flint rates are already very high in comparison to other municipalities. This is due to many factors, but certainly greatly aggravated by loss of customer base and significantly reduced water sales to industrial, residential and commercial customers. My personal opinion is that the Flint water "crisis", while a significant failure, has been blown out of proportion by scare media reporting, continuous repetition of the inflammatory rhetoric, and political posturing. However, it does serve to highlight the value of safe drinking water and the need to invest in our systems that on the whole do such a good job that it takes a "crisis" to draw attention to the need to adequately fund these systems so that our children and grandchildren may be safely and reliably served. You have Nailed much of it Gary , I too have been in the Public Drinking Water Industry for Over Forty Years,as a Water Treatment Operator/Superintendent ( now Retired ) The Michigan Health Department and Later DEQ was always Staffed with Experienced, dedicated Engineers at most all levels, we always had a close and cooperative relationship with them, with goals to maintain and improve the Public Health. The Flint Issue was So Predictable.. In cases when Community water Supplies change Treatment Methods and/or Raw water Source, an Engineering study is required to be made , it should of included some sort of Pilot Study to determine if the water was corrosive after treatment. If it was determined to be corrosive a phosphate product would of been tested until the proper dose was determined. If this was fast tracked by the administration it would be my opinion that they would be criminally responsible. After all of that,, the Old Water Plant was put on line using the Flint River as a source regardless of any study results if they did any. Once on Line the system had all kinds of Problems, Taste and Odors, Coli form contamination, then Trihallomethane formation (Cancer causing Chlorine By-Products), which should of caused a Violation and Community Notification and More Studies . I don't know when the annual lead testing was done or if the proper protocol was used, however with an old system as this, many Lead water services and piping would be expected. The Results of this Lead Testing apparently went by the way side or was fudged. This Water was never suitable for Humans or Dogs, Had a Citizen Mayor (even one that knew Nothing) been in charge, they most likely would of taken due diligence and found out what the protocols should of been. .. So many things went totally wrong I hope it doesn't take forever to get to the bottom of this. Even with all of this the Governor has dodged any responsibility, and likely will throw the DEQ and staff to the Wolfs. I just hope the Federal Investigation isn't full of Political Influence. The whole sad point is that this was totally predictable and it is going to affect a lot of People for ever and they will never trust the water supply or the State government. With Staff changes, Budget Cuts and the need to save money we have let our public down. It's "budget neutral" if you only look at the state's finances. From a macro perspective, long term, you have merely shifted the cost from the state to the local municipalities. Great suggestion...who picks up the tab for cities like Detroit who were BILLIONS of dollars in debt from not paying their existing bills in the first place? Force the suburbs to yet again pay for the mismanagement and cronyism of the City of Detroit and its leadership?...maybe if they fired the blacksmith they still have on staff it would help. Let no factual review go challenged by the partisans to capitalize on tarring the current governor's scalp and regardless of the facts. Our water is just one of the many concerns that our state need be concerned with. Our State govt. like the feds put off hoping that no one will notice or be alarmed. Our country needs a real soul searching about our priorities . Some think one day they will wake up and the govt. will announced we are broke so we will wipe out our debts and just start over. Companies and individuals do that every day. We haven't yet experienced going to a store with a wheel barrow full of money to buy something. I hope and pray that day doesn't come,but will it? R.L. Snyder and Granholm continued the cuts begun by Engler. Engler eliminated the Department of Public Health, where the drinking water program, lead abatement program, food safety program, etc. were originally housed. When those programs were sent to many different departments, communication among those important programs ended. The drinking water program was sent to a department that focused on environmental issues more than public health issues; and is led by those that came from environmental divisions who favored funding their own programs at the expense of the drinking water program. Engler also eliminated all of the commissions that oversaw DEQ and DNR programs. Those commissions prevented the Governor from having direct control of the departments. That, with the term limited legislators that are there to help themselves and their friends rather that the people of Michigan have put this state on a race to the bottom. I question the significance of the cited EPA audit finding that led to Lambrinidou concluding that "... the system is more broken than we think." As reported above (quote) The EPA audit said that MDEQ failed to meet this federal standard, noting that it “does not calculate 90th percentiles, unless one sample exceeds one-half of the [15 ppb] action level. In that case, a potential violation will be identified and staff will use [a state database] to calculate the 90th percentile.” MDEQ’s “practice does not meet the requirements of Federal Regulations, since it is required that all 90th percentiles be calculated,” the audit concluded. Lambrinidou said the audit’s finding that MDEQ was not following the letter of the 90th-percentile reporting requirement was troubling. “That is in violation. It says to me that they are not following the law. It says to me the system is more broken than we think.” (unquote) If all the samples reported in a round of testing are less than 7.5 ppb lead (half the 15 ppb action level), the 90% value will certainly be less than 7.5 ppb and well under the 15 ppb action level. The fact that the 90% level wasn't precisely determined and separately reported may be a technical violation of the regulation, but not of real world significance and not "proof" of a broken system. yeah in 2010 the river I grew up had the largest Tar Sand spill in U.S. history.. and the EPA, MDEQ, Snyder, Hillary Clinton, MDCH, or congressman Fred Upton.. They all knew there was a crack for 5 years before.. and all of them did nothing! NOTHING! .. and I have court on the 22nd facing jail time, because I called for snyders arrest on Facebook... but nothing for them letting people die RIGHT?.. . I have an uncurable disease from the spill that has my flesh literally being eaten, and they come out 6 years later like cockroaches talking about poor them?.. . The state has a couple of tools to address both county level and statewide health challenges. Michigan's local health departments are measured on their ability to provide essential public health services through an independent accreditation process which occurs every three years. In addition, Part 24 of Michigan's public health code, PA 368 of 1978, provides a process for the identification of the states most pressing health problems on an annual basis, which then is intended to result in a statewide action plan focusing the state's resources on the identified challenges. The sad thing is that, that provision of the code has never been implemented by any governor. I have worked with DNR/MDEQ since 1980. It has grown into a quagmire of administrative rules and regulations. It bullies Michigan citizens, it has no open mind and it is on a power trip. One of its teachers once said to class of 50 future law enforcers that a teaspoon of soil is too much when added to a wet land. I live in upper Michigan I'm near Torch Lake . the one above the bridge. the lake contains arsnic lead and a lot of other things that are from the smelting of copper they did from the early 1900's till 1968. When they said they would cover the sand banks along the shore of the lake it was going to be 2 feet of soil. Turned out to 6 inches. Then even tho the lake is so filthy a person from the DEQ told them to bring in beach sand and make a beach there . They did it in 2 places. The beach in my town is 200 feet from a household garbage dump that garbage is hanging out the side of. Back when that was a dump they just pushed it into the water. The people from the DEQ from Lansing saw the garbage sticking out. But they would not close the beach. For 8 years I talked to anyone that would listen about it. Last year they closed the one in my town. A lady in Labsibg told me that children can swim in that lake the lead wont bother them.Why would they do that to us? we live up here where it is not very far from clean beatiful lakes. They dont care about the people. We know the water is bad but new people coming here see the beach sand and let their childern go in. Sounds to me like the local authorities must share the blame for this. You can see garbage coming into the water, know there is a hazard and the local authorities did not close the beach...Did you ever see the movie Jaws where the local Mayor forbid the closing of the beach even though he knew it was dangerous...sounds like the same thing here. yes, it sounds like an MDEQ fail, but also sounds like a local government and county health fail as well.